One of the best parts of traveling is experiencing delicious foods, fine wines and hearty beers. Amsterdam makes sure to address all aspects. 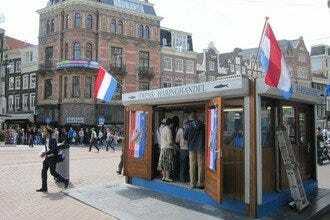 The city is very international, home to approximately 180 nationalities. This means you will find the cuisine just as diverse: Dutch, French, Italian, Greek, Spanish, Mexican, Indonesian, Chinese, Thai and more. Perhaps it’s your first time in the city or you’re a regular looking for something new; maybe you just moved here and are looking for a little piece of home – every corner of the city has something to offer. Relax on one of the terraces, such as t’ Blauwe Theehuis in the Vondelpark, or step back in time by visiting one of the numerous brown cafes. 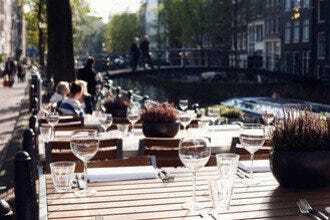 Dine at one of Amsterdam’s Michelin star restaurants, such as La Rive (one star) at the Intercontinental Amstel Amsterdam Hotel or Ciel Bleu (two star) at Okura Hotel. 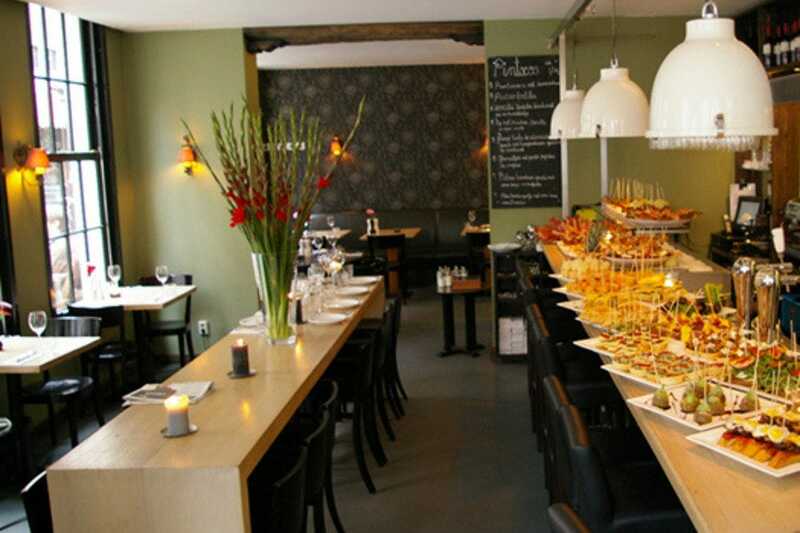 Even though the restaurant scene is quite international, Dutch favorites are not forgotten. If you’re out for a drink or light snack, give bitterballen a shot. By the sea? Look for fresh fish, herring or kibbeling. Stamppot Andijve is even better when you’re searching for a hearty, wintertime meal. 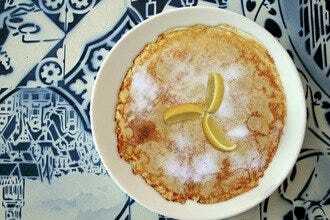 Pannenkoeken (Dutch pancakes) are a great meal, anytime of day - you absolutely must try Pannenkoekenhuis Upstairs. Be prepared for everything and anything on your pancakes. Walk into a world of food at the Bazar. The building, once a church, features high ceilings and is full of color, character and beauty. 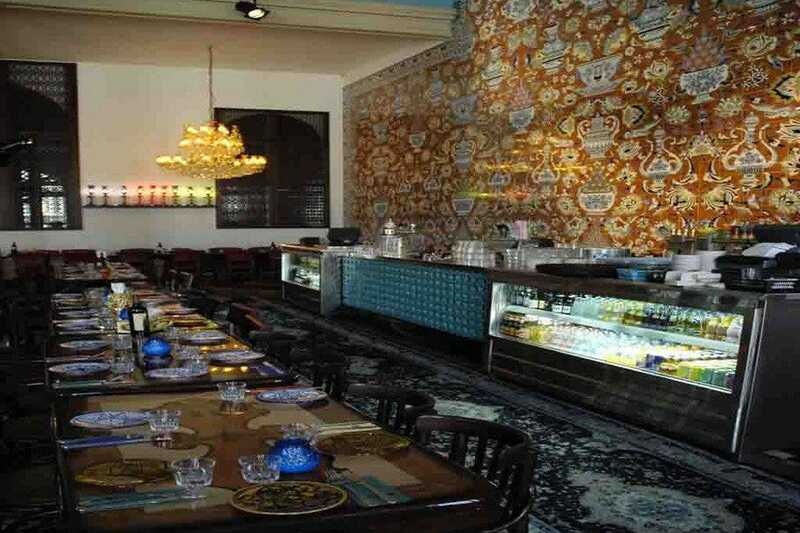 The restaurant serves North African, Iranian and Turkish food, where you can choose a delicious dish from the main menu or one of the daily specials; either way you cannot go wrong. 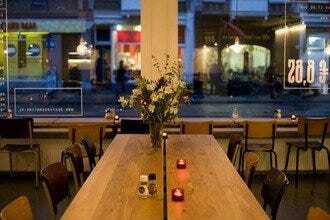 As the establishment is located in the Albert Cuypstraat, it's a great place to take a break from shopping at the Albert Cuypmarkt and enjoy a fresh mint tea. 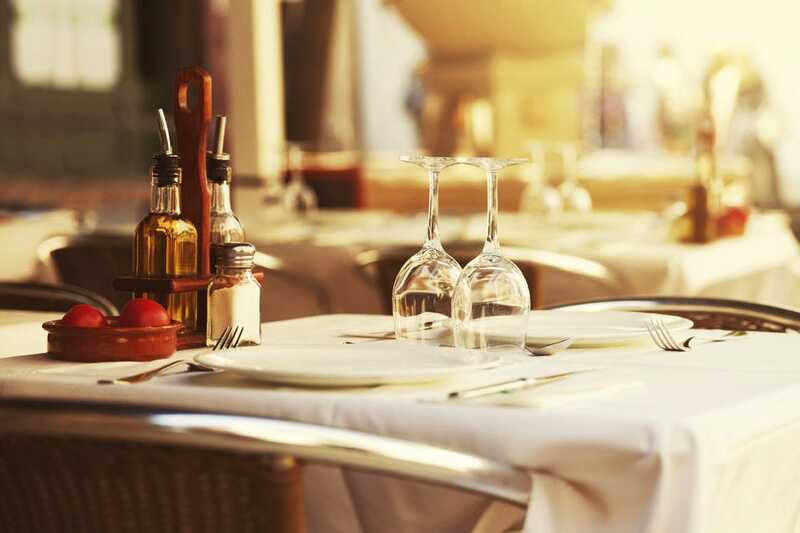 If you want to have dinner, make sure to reserve a table ahead of time, as the restaurant is quite popular and often busy. Try to get a table on the upper level; it overlooks the bar. For breakfast, lunch or dinner, the Bazar is sure to please. 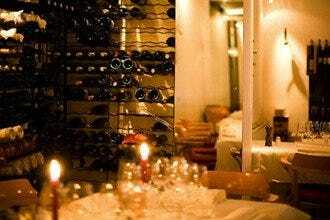 Dining at La Oliva Pintxos Y Vinos in the Jordaan will make you feel as if you've left Amsterdam and traveled to Spain. The restaurant serves the best Pintxos in town, as well as other delightful dishes from Northern Spain. Go with a group of people and share several Pintxos plates – this way you can taste a bit of everything. Each bite you take is perfectly complimented with a carefully chosen Spanish wine. 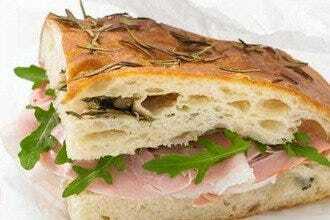 Enjoy your lunch or dinner in a relaxed atmosphere paired with great food and friendly service. Call ahead for a reservation, as the restaurant fills up fast. 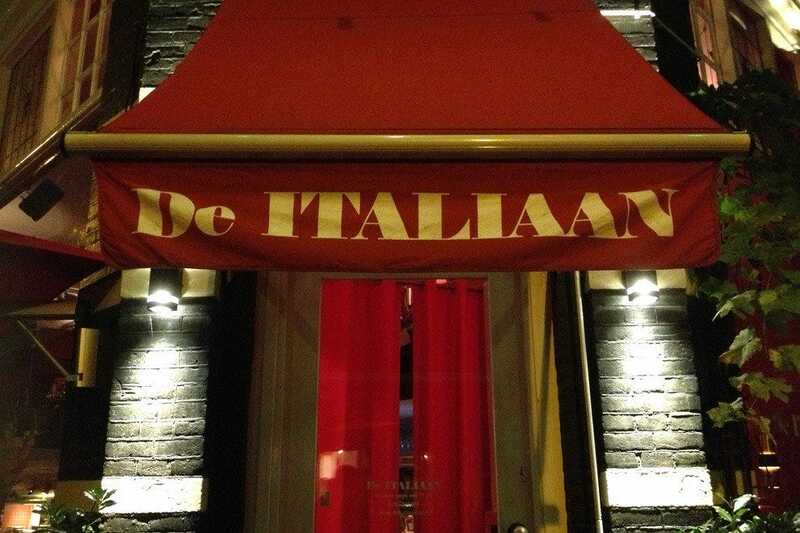 Bring out your inner Italian at De Italiaan. Make yourself at home in the cozy environment. 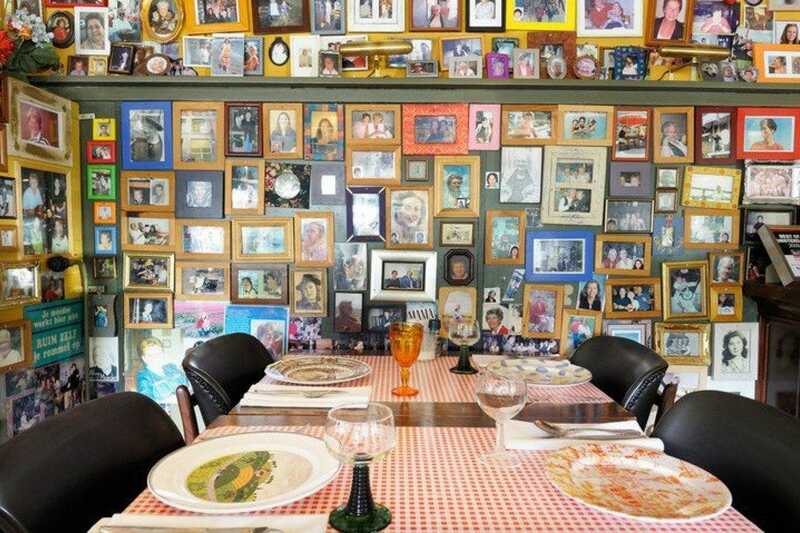 Enjoy a delicious, traditional pizza from the wood oven or indulge in other Italian creations, including pastas, antipasti, bruschetta, meat and fish dishes, desert and much, much more. Complete your lunch or dinner with a glass or bottle of Italian wine, perhaps a prosecco to start, followed by a Pinot Grigio or Chianti to accompany the main meal. By the end of your dining experience, you'll be saying "Delizioso, Magnifico!" (Delicious, Magnificent). Friendly service will round off the entire evening; you'll be dying to return. Up until 1995, what is now Pont 13 used to be a ferry; now, the boat has been converted into an upscale restaurant, completely renovated. 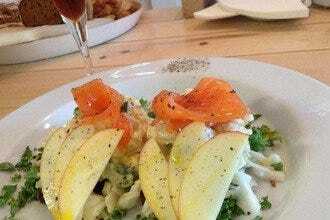 The restaurant is situated a bit out of the city centre, west of Centraal Station in the Westelijke Houthavens, but is special because of the ambiance and location on the harbor. You can sit indoors or outdoors and treat yourself to one of the numerous dishes available, including seafood and steak. 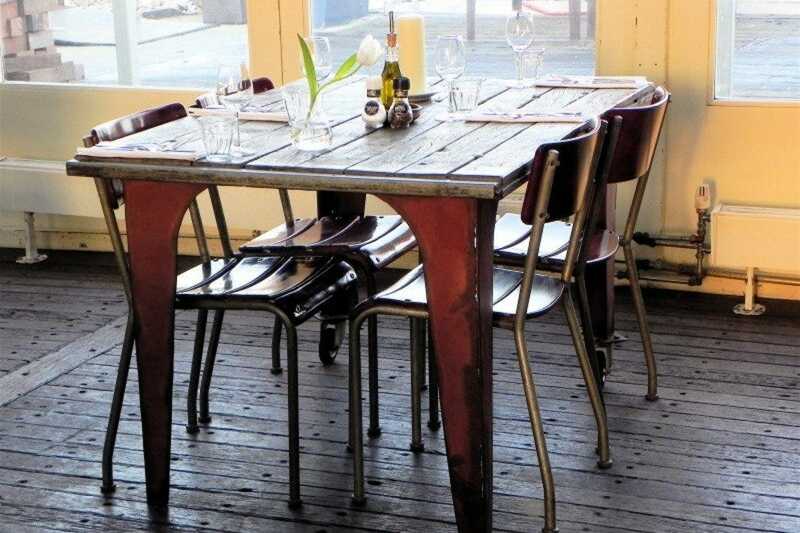 Random fact: the tables are even for sale, available in different designs and sizes. The entire experience is a delicious adventure, every step of the way. 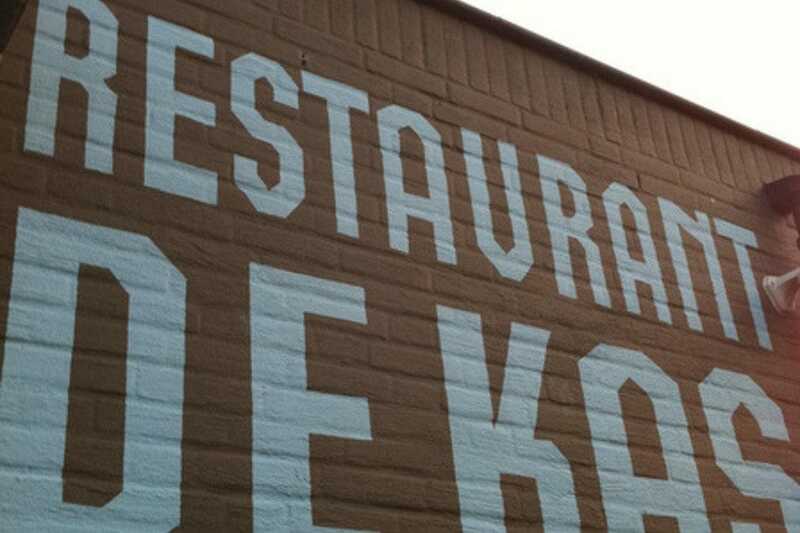 Enjoy the freshest ingredients at Restaurant de Kas, located in Frankendael Park. Every morning at sunrise, chefs and wait staff help owner and founder Gert Jan Hageman harvest herbs, vegetables and edible flowers. Ingredients are harvested in the restaurant's very own greenhouse and garden, situated in their backyard, as well as from a field about 10 kilometers (6.2 miles) from Amsterdam. If an ingredient cannot be grown in their field, De Kas purchases additional foods, such as dairy products, meats, fish and various fruits and vegetables, from local farmers and vendors. Dine in the restaurant, relax on the patio or sit at the chef's table and watch the magic happen in the kitchen. Either way, you're sure to love the flavorful creations. Enjoy a truly elegant evening at Ciel Bleu. 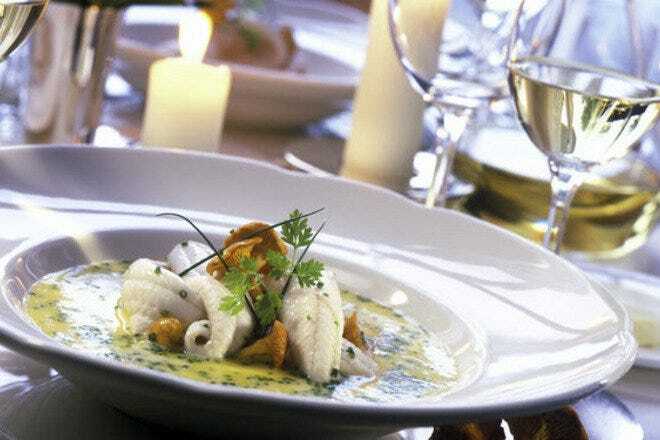 The restaurant, located on the 23rd floor of the gorgeous five-star Okura Hotel, promises a top-notch dinner. Ciel Bleu boasts two Michelin stars, definitely well deserved. 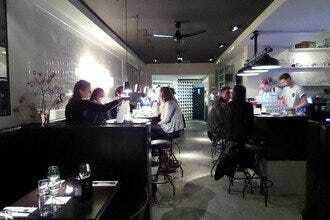 The restaurant serves classic French cuisine with a creative twist. The chefs always select the best of the best ingredients and often use local products. The menu, which rotates four times a year, always features the finest flavors of the season. In addition, numerous wines are just waiting to complement your meal. The entire experience is made complete with a beautiful panoramic view of Amsterdam. Make a reservation at Ciel Bleu for an evening of culinary art. If you love surf and turf, Restaurant Red is one place in Amsterdam you will definitely not want to miss. Rediscover the pleasure of food; Restaurant Red definitely provides a distinct dining experience. 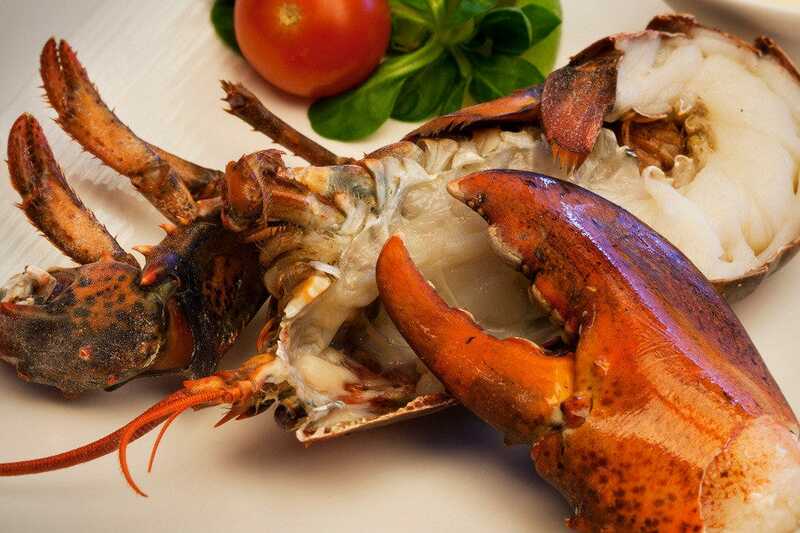 You can choose from lobster or beef fillet, each prepared in one of two styles. Dishes are served with a salad and a side of fries. Complement your selection with a nice glass of wine, or close the evening by trying one of the chef's delectable desserts, such as the warm chocolate tart or tarte au citron vert. With each bite, from start to finish, you'll be craving more. To top it off, prices are quite affordable. With lobster and beef as the main stars, dining doesn't get much better than this. There is a saying, "The best things come in small packages." In the instance of Pannenkoekenhuis Upstairs, the best pancakes are served in the smallest space. 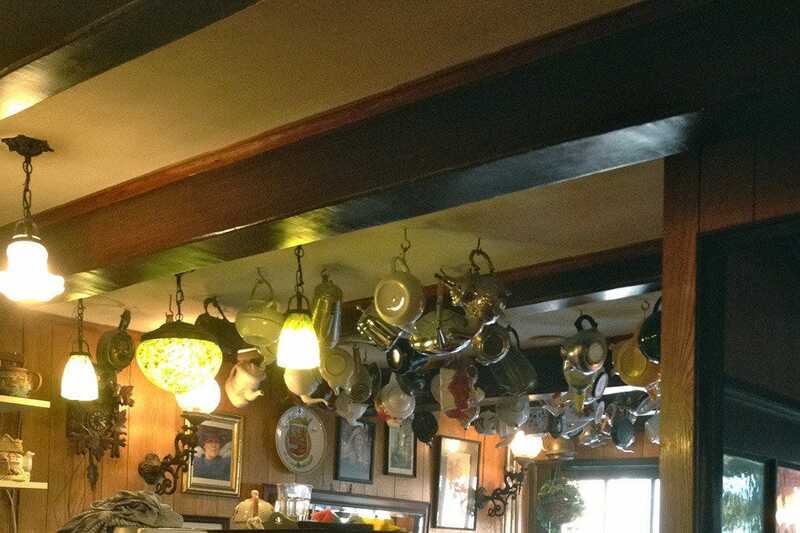 Make your way to the top of the steep, narrow stairs, and you'll find a room with only four tables and numerous teapots hanging from the ceiling. Prepare yourself for the largest pancakes you have ever seen, homemade and topped with a variety of delicious fixings. Have a look around at all the photos of the Royal Family and ask about the history of the house. It's a perfect place for lunch; the hours are limited, and sometimes the owner closes early if he runs out of ingredients. This is one place you cannot miss.